Samsung has officially launched its next-generation smartphones – Samsung Galaxy S6 and Samsung Galaxy S6 Edge at Mobile World Congress 2015. 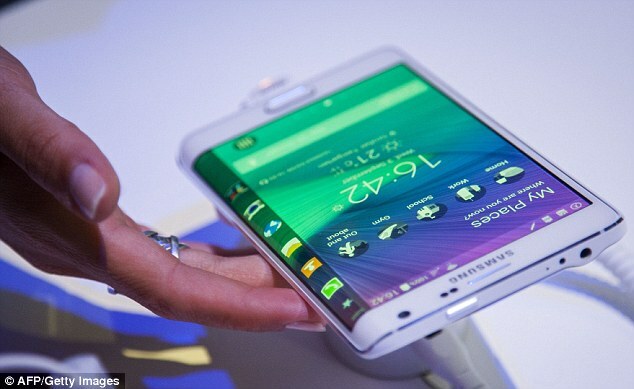 The curved screen of this new smartphones has acquired everyone’s attention. Samsung Galaxy S6 and Samsung Galaxy S6 Edge not only come with good specs and features but also with a unique and sleek design. 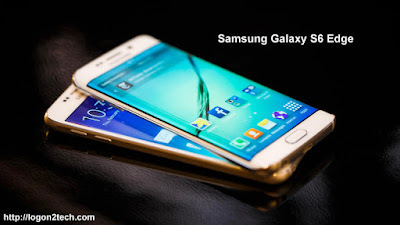 Samsung Galaxy S6 and Samsung Galaxy S6 Edge come with a sleek glass and metal body on both front as well as back. Samsung Galaxy S6 Edge has a curved screen from both sides with an easy to handle grip. While Samsung Galaxy S6 has the most awesome appearance when compared to the entire Galaxy S Series. The new Galaxy S6 and S6 Edge come with the toughest glass - Gorilla Glass 4. Samsung Galaxy S6 smartphones comes in attractive colors which include Topaz Blue and White Pearl. The brand new Samsung Galaxy S6 and Samsung Galaxy S6 Edge have a WPC and PMA wireless charging support, so you can charge the phones wirelessly. Samsung Galaxy S6 has a 2550mAh battery while Samsung Galaxy S6 Edge has a 2600mAh battery. The battery for both smartphones lasts upto to 12 hours on Wi-Fi. And Samsung do claims that Galaxy S6 and S6 Edge supports fast wired charging, “Faster than any other smartphones in the industry.” And with just 10 minutes of charging you’ll be able to use it for 4 hours. The Samsung Galaxy S6 and Samsung Galaxy S6 Edge are similar with the same 5.1 Quad HD Super AMOLOED display and 2560 x 1440 resolutions which offers a very high pixel density of 577ppi. 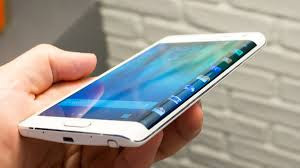 Samsung Galaxy S6 Edge’s “dual edge display” is the only difference between the two smartphones. Samsung Galaxy S6 and Samsung Galaxy S6 Edge come with a 16MP OIS (Optical Image Stabilisation) rear camera along with a 5MP front camera. The two new added features – OIS for low-light shots and Auto Real-Time HDR (High Dynamic Range) for fast and easy color balance. Camera features include – Quick launch, F1.9, Tracking AF, Auto Real-Time HDR, High Clear Zoom, IR Detect White Balance, Virtual Shot, Selective Focus, Pro Mode, Slow Motion, and Fast Motion. Similar to what we have seen in Apple –Fingerprint Scanner TouchID, Samsung offers fingerprint scanner in Samsung Galaxy S6 and Samsung Galaxy S6 Edge. However, the S6 improves more by replacing the “sliding” of your fingerprint across the button, by just pressing your finger on the screen. Just you need to do is place your finger on the sensor embedded in the home button and the phone will unlock the need of any passcode. The best part is you can store upto four fingerprints on the phone. 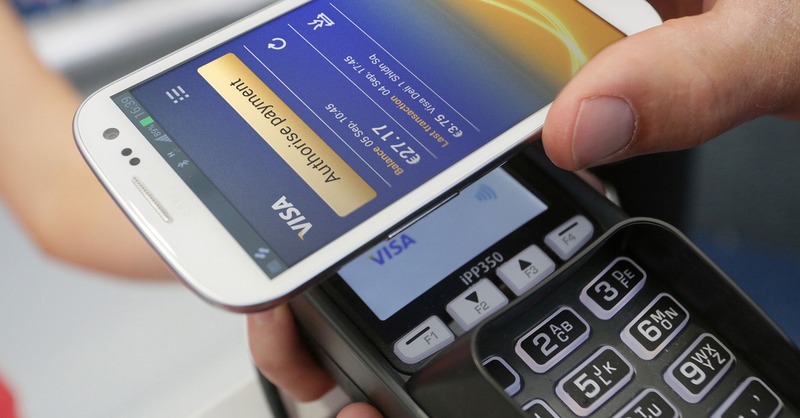 The Samsung Galaxy S6 and Samsung Galaxy S6 Edge are the first Samsung smartphones to offer mobile-payment system. 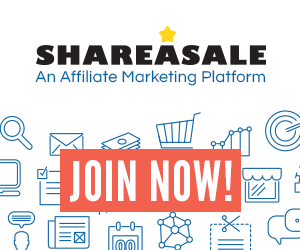 A new and easy to use mobile payment solution will launch in United States in the second half of this year. 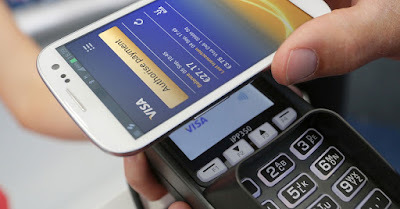 Samsung Pay is secured with Samsung KNOX along with fingerprint scanning and advanced tokenization. It allows Near Field Communication and a new proprietary technology called Magnetic Secure Transmission payments. That means it will work with more machines than Apple Pay. The Samsung Galaxy S6 and Samsung Galaxy S6 Edge will be available globally from April 10, 2015. Which one among Samsung Galaxy S6 and S6 Edge do you like and why? Share your answer in comments below.